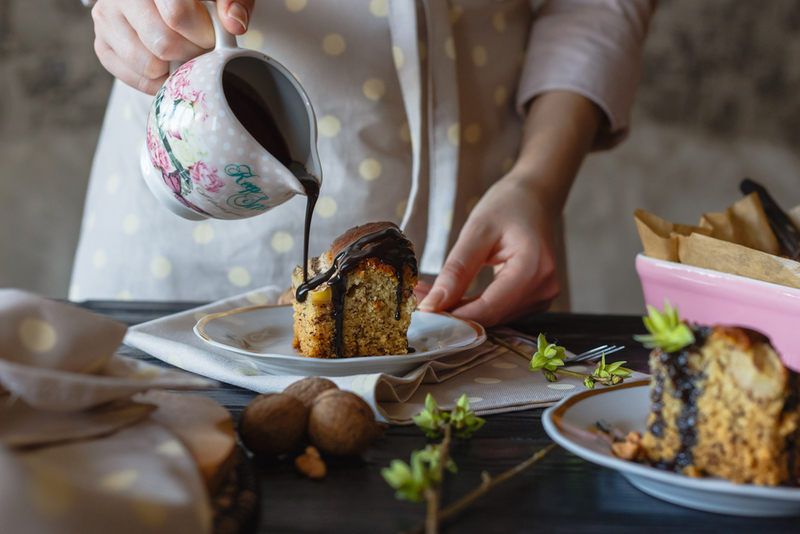 Chocolate for breakfast just seems like an insane idea; but Du Chocolat has made the indulgent idea completely possible with their amazing recipes with a sugar-free, organic chocolate powder that uses only the finest cocoa from the Ivory Coast. Just check out these amazing recipes! Weekend mornings are made for pancakes, right? We’ve got you set whatever your tastes with our amazing takes and twists on pancakes, crepes and waffles. Chocolate and Cherries are a match made in heaven with these Black Forest Pancakes. You’ll never believe that they’re completely sugar-free! The cherry chia jam that you can make along with them is the perfect breakfast sweetener, and you can make a big batch of it to last you the week! These delicate and delectable Quinoa Crepes are super quick to whip up on a whim, and will delight all being grain and gluten-free. Fill with favourite fruit and top with chocolate sauce for an especially delightful morning. Chocolate Chip Buckwheat Pancakes are a great option for anyone wanting to pack in some protein – and for everyone else too! These fluffy and fabulous pancakes make a truly impressive stack, and topped with strawberries and cream make a great morning. Who could ever say no to a Chocolate Waffle? Even the name rolls off the tongue! And these waffles are the best versatile breakfast to start your weekend off right. Hot and crispy, topped with fruit and yoghurt, this is the breakfast of dreams! And if you need a fresh start to the weekend, the Mint Choc-Chip Pancakes are the choice for you. Delightfully refreshing and easy to make, this will be a real crowd pleaser for weekends with friends. If you’re after a hearty, filling breakfast that packed with chocolatey goodness, then look no further than these fabulous ideas. You’ll feel almost naughty tucking into this Du Choc Chia Pudding for breakfast. Build it up anyway you want it the night before, and you’ll be dreaming about delving in to indulgence all night! And this nutritious Chocolate Acai Bowl tastes so good you won’t believe how good for you it is. A great refresher on summer mornings, it will keep you feeling full until lunchtime and will fill almost all on your nutritional needs in one meal! Does it get better? Probably not. If you’re one who loves a smoothie in the morning, then try one of our incredible recipes – so good you’ll think they’re bad! Whoever heard of workout then dessert? We have with this Choc Raspberry Protein Smoothie! Chocolatey, fruity and fresh, this will keep you going even after the toughest of runs. As will this Choc Coconut Protein Smoothie; a slightly creamier way to start the day, but we aren’t complaining. Packed with goodness, and all the most delicious ingredients, you’ll soon be whipping it up after every workout. And for those who are looking for a smoothie with a little something extra, try out this amazing Du Choc Turmeric Smoothie. Turmeric is incredible for its anti-inflammatory properties, and is also an antioxidant, so will help you on your way to a super healthy day. It’s also full of delicious healthy fats thanks to avocado which whips this smoothie right up to perfection! Most of us can’t get through the morning without a little pick-me-up. But why not shake things up a bit with one of our variations on morning brews? This Sugar-free Iced Mocha will have you feeling perky in no time, and there’ll be no need to fork out for a Starbucks on summer mornings. With the right balance of chocolate and coffee, this mocha will soon become your new morning ritual. Or try out the Du Choc Matcha Smoothie for something new and exciting. It has a blend of delicious ingredients, along with antioxidant-pack matcha which pairs perfectly with chocolate. If you thought chocolate for breakfast was a little crazy, then how does chocolate ice cream sound? Totally nuts! But you can definitely get away with it with our Nice Cream Recipe – made with bananas and peanut butter, and topped with pistachios, this healthy take on ice cream makes quite a nutritious and satisfying breakfast, and you are totally eating dessert! But who’d going to judge when it’s so good, and good for you? Not us, that’s for sure! What are your thoughts on chocolate for breakfast? For or against? We’d love to know which way you sway, and what your favourite breakfast indulgences are – made healthy! Leave a comment down below and let us know how you like to start the day – chocolate or not! Filed under Food tips, Health and Wellbeing, Recipes.